produced for the Brethren Encyclopedia Board by David Sollenberger. international celebration of the Anniversary. Identifying the village as the birthplace of the Brethren, authors from Schwarzenau and the Bad Berleburg region as well as from different Brethren bodies contributed to the book. 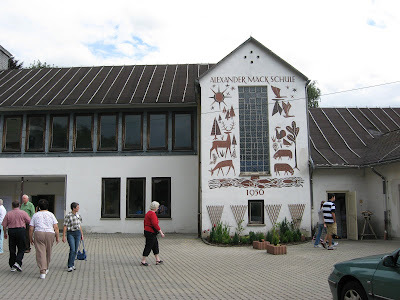 Proceeds will support the Alexander Mack Museum in Schwarzenau. Order through Brethren Press for $25 plus shipping and handling, call 800-441-3712.